Montana: Why Do So Many Disability Groups Oppose Physician Assisted Suicide? Connecticut Office of Protection and Advocacy for Persons with Disabilities. In 2009, a proposal that would have legalized Physician Assisted Suicide was introduced in the Connecticut General Assembly. The language of that proposal paralleled legislation being pursued in other states by Compassion and Choices, a successor organization to the Hemlock Society. When the proposal was withdrawn without a public hearing, Compassion and Choices moved to the Courts, seeking a judicial ruling that provisions of the Connecticut Statutes prohibiting assisting a person to commit suicide should not be applied to physicians who write lethal prescriptions for their patients. Their lawsuit was dismissed. Now, in 2013, it appears that another attempt to legalize Physician Assisted Suicide is being made in Connecticut. While the details of the current proposals are unavailable as of this writing, they will likely be similar to proposals that are being pursued in other states – proposals that have drawn stiff opposition from disability advocates in those states. Proponents of legalizing Physician Assisted Suicide argue that it’s all about compassion and personal autonomy. Citing examples of individuals who have ended, or who apparently want to end their lives by taking lethal doses of prescribed drugs, they propose adoption of the euphemistic term “assistance with dying”, and suggest Physician Assisted Suicide be seen as a compassionate alternative to suffering intractable pain or endless, intrusive, de-dignifying medical interventions. If all we hear is their side of the story it seems reasonable enough. After all, shouldn’t we have the option of avoiding an ignoble end? Shouldn’t our doctors be able to prescribe drugs that will do the job quietly and professionally? Isn’t this a matter of personal choice? What’s wrong with just having the option? 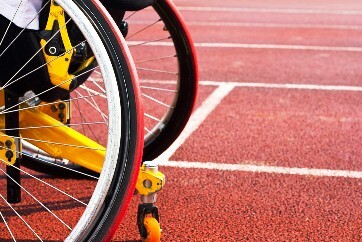 Leading disability rights groups see plenty of problems with it. A number of well respected organizations, including the National Council on Disability, the American Association of People with Disabilities (AAPD), the National Council on Independent Living (NCIL), the National Spinal Cord Injury Association, the World Institute on Disability, Justice For All, TASH (formerly called The Association of the Severely Handicapped), the Disability Rights Education and Defense Fund (DREDF), and grass roots groups such as ADAPT and Not Dead Yet have all adopted positions opposing legalization of assisted suicide. In fact, members of many of these groups have been teaming up with local independent living centers and state-level advocacy coalitions to challenge the state-by state campaign to promote Physician Assisted Suicide. The opposition being mounted by these advocates is rooted in the realities of the disability experience. Advocates who have worked with newly disabled individuals, or who may remember their own experiences are deeply concerned about the impact legalization would have on people who may be struggling with difficult personal adjustments and, not infrequently, with rejection and loss of hope. The annals of the disability rights movement are punctuated with stories of individuals who “just wanted to die” before coming to realize they could still lead good, contributing lives. Advocates worry that some people would never get to that realization if assisted suicide becomes legal. People who have personal histories of trauma or unresolved psychiatric issues would be especially vulnerable. Despite the expansion (of) independent living opportunities, development of new treatment modalities and remarkable assistive technologies, and notable progress in the fight for equal rights over the past thirty years, far too many people with significant disabilities are still being left to languish in nursing homes and other institutions. For all the miracles that modern medicine performs, relatively few health care providers are aware of the independent lifestyle possibilities that exist, much less how to help people access the “good stuff”. In fact, as a group, doctors are often poorly informed about those possibilities. The fact that many people with disabilities are economically and socially marginalized exacerbates the problem: affordable, accessible housing is in very short supply, and programs that fund community-based personal care services and peer supports are inadequate to meet many peoples’ needs. Of course, proponents of legalizing Physician Assisted Suicide argue that they are proposing that it only be available to people who are terminally ill and within six months of death. But, the business of predicting the timeframe for an individual’s death is just not that precise. In fact, research on the question has demonstrated that medical prognostications regarding the prospective timeframe for an individual’s death are often unreliable, sometimes missing the mark by years. And, given the considerable confusion that often exists – even in the medical world - about the distinctions between disabilities and “terminal diseases”, there is a very real risk that people with significant disabilities who are despondent about their futures, but who could have many good years of life ahead of them, will be given lethal prescriptions. Of course,it doesn’t help that proponents of Physician Assisted Suicide insist that the process be defined as essentially a private transaction between doctor and patient. If your doctor does not want to be involved, their organization will refer you to one who doesn’t mind. The proposal they have been selling around the country provides no meaningful external oversight to prevent untoward influence by others who might benefit financially, or whose lives could be made easier if the person is no longer around. If an individual had signed whatever forms are required, and the drugs were in his or her home, the presumption will be that he or she took them on their own volition, irrespective of the potential for subtle coercion, for refusals to recognize a change of mind, or even for surreptitious administration by others. Even if these problems could be cleaned up, however, ambiguity and social ambivalence concerning distinctions between disability and “terminal disease” would remain. As people with disabilities are well aware, in the medical world the difference between “disease” and “disability” is more a matter of perception than objective diagnosis. Add the emotionally loaded, but diagnostically imprecise term: “terminal”, and things get even less clear: Are Muscular Dystrophy or Multiple Sclerosis, or any number of other chronic, degenerative conditions to be considered progressive disabilities or “terminal diseases”? What about people who are born with disabilities that involve complex medical issues or genetic syndromes that can, but do not always, result in shortened life expectancy? Or people with physical disabilities who may periodically experience life-threatening infections or inflammatory processes? What about people who depend on life-support technologies to breathe or to eat? At what point would these people be considered “terminally ill” or “within six months of death”? Who would get to make those judgments, and how much would their decisions be influenced by stigmatizing stereotypes about “quality of life” and frank ignorance about the possibilities of living a good life with a disability? What emerges from the experience in places that have legalized Physician Assisted Suicide is a highly subjective decision-making calculus that is applied without independent scrutiny, and which is open to considerable abuse. In the Netherlands, for example, where assisted suicide has been legally tolerated for the past 35 years, many doctors now consider having a long-term disability with a “poor prognosis” for improvement to justify writing a lethal prescription. In addition to practicing active euthanasia - administering lethal injections to newborns with significant disabilities and to older people with dementia - some Dutch physicians see no problem with directly administering deadly doses of drugs at the request of people who have no physical signs of disease, but who are experiencing chronic emotional distress from conditions such as anorexia nervosa. Surveys indicate that at least some doctors admit to not even having bothered to ask – they just made the decision and proceeded to administer the drugs. The experience in Oregon is also instructive. In Oregon, which legalized assisted suicide over ten years ago, doctors who write lethal prescriptions are required to supply certain after-the-fact data. While there is reason to question whether all of them do so, and the data being collected is minimal, a ten year statistical summary indicates that most of those who sought lethal prescriptions acted out of fear of future disability, not worries over dying in pain. The “suffering” people reportedly sought to avoid by committing suicide involved anticipated loss of “dignity” and “autonomy”, the prospect of losing control of bodily functions and needing personal care, and worries over the “burden” that continuing to live might place on others. In other words, the same things with which hundreds of thousands of people with disabilities contend on a daily basis. To disability advocates who have spent decades fighting against negative stereotypes, this sends a frightening message: the State has officially has endorsed the proposition that deliberately causing death is an acceptable, possibly even a preferable alternative to the prospect of living, even briefly, with a disability. Beyond these issues, advocates are also concerned about the impact legalization would have on health care policy. This question involves not only the behavior of insurers, providers and regulators; it also goes directly to questions of social acceptance, personal expectations and the realities of “choice” in an ever more complicated and costly health care system. There is so much to consider: Would the fact that a physician authorizes and intentionally assists in taking human life, signal a fundamental change in the core ethic of a profession heretofore committed to saving and protecting life? Would the involvement of “professionals” whom we traditionally trust for comfort and advice, confer legitimacy on a practice that has been historically discouraged, ultimately resulting in increasing numbers of people seeking to kill themselves? What influence would growing concerns about health care costs have on peoples’ perceptions about their “options”, or on the practices of providers and insurers? Would legalizing assisted suicide amount to de facto acceptance of the notion that there are some lives not worth living; some people who are just better off dead? Many leading palliative care specialists oppose legalization, explaining that the examples of pain and suffering cited by assisted suicide proponents are evidence of poor or misinformed medical practice, not of the supposedly “intractable” nature of terminal pain. Pointing to recent developments that have significantly expanded the knowledge-base and effectiveness of techniques that manage pain and other symptoms, palliative care physicians are urging a broad-based campaign to educate other practitioners about both these strategies, and about existing, lawful decision-making mechanisms that respect patient choice and self-determination. They are also calling for greater investments in specialized palliative care programs and hospice options, and, more importantly, in the basic personal care systems that people need in order to live with dignity, even in their final days. While everyone seems to agree these investments need to be made, if we begin to accept assisted suicide as an “understandable choice”, will we be more or less likely to make them? Again, consider the experience in the Netherlands, where physician awareness and investments in palliative care have lagged behind those of other European countries – a fact that some experts attribute to the prevalence of assisted suicide and euthanasia. Or, closer to home, look at Oregon, where the state Medicaid program makes deliberate, categorical decisions to ration medical care for poor people, and, at the same time, state law explicitly permits physician assisted suicide. Several cancer patients there recently received letters from the State informing them that Medicaid would not pay for the potentially life-prolonging, pain-relieving chemotherapy treatments prescribed by their doctors. However, the letters assured them, if they wished to avail themselves of Physician Assisted Suicide, the State would pay for those final prescriptions. This is chilling stuff. Before we glibly accept the notion that legalizing Physician Assisted Suicide is about “compassion” or respecting personal “choice”, we ought to ask ourselves: what kinds of choices are we actually affording people? What would be the impact on social institutions, on government policies, on professional practices and on our collective values? And, above all, what impact would it have on individual human beings? At what point would the availability of this “option” become an expectation - a felt duty to ease the “burden” and cost of care for family members, or for society generally? Wouldn’t it be better to invest in truly compassionate care – to assure authentically humane choices for people approaching the ends of their lives - rather than cross into the highly problematic, morally questionable territory of legalized assisted suicide? Proponents of legalization are right about one thing. This issue is about choice – the choice about what kind of people we are, how much we really care about each other, and what kind of world we want to live (and die) in.